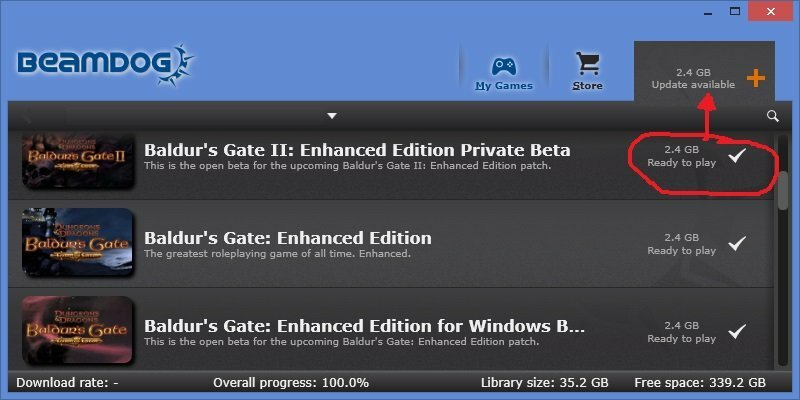 How to get the BG2EE kits working in BG1EE? First post, so hello twice. Okay, BG2EE has kits that don't exist in BG1EE, like Dragon Disciple. So how do I get those kits to appear in the first game so I can start out using them from the beginning? Are they supposed to auto-install into BG1EE, because if that is so then my computer must be blocking it. Or do you have to do it manually? And either way, how do I do it manually? Is there a mod for it or something? I just got a "comment" badge for commenting on my own thread... what the hell? Ha ha ha! Sounds like you haven't got the 1.3 patch installed for BG:EE @Daughter_of_Hell because Dragon Disciple is available in both games. The method of update varies by platform (PC, Mac, etc.) 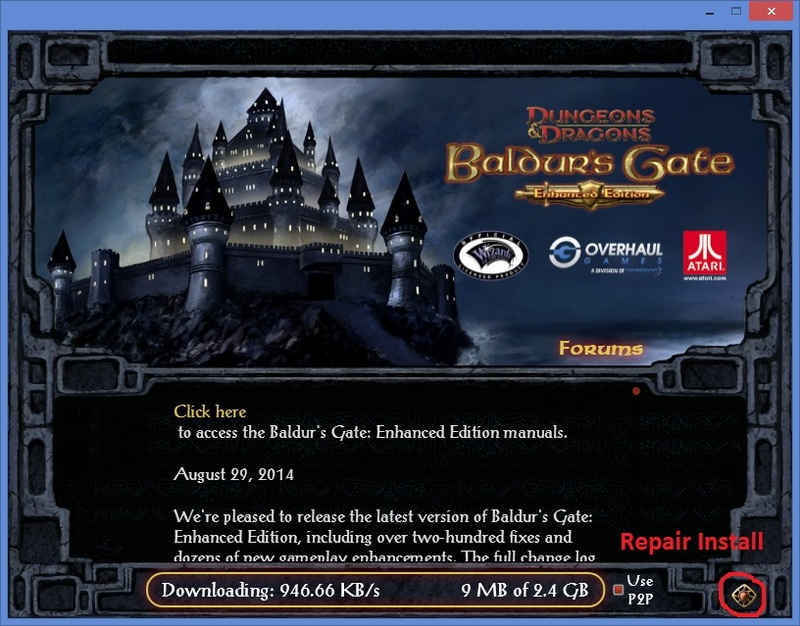 and install (Beamdog Launcher, Beamdog standalone, Steam, etc.) so would need to know these details if you require assistance. I have a PC. I don't know what type of install it is. My father put it on the computer, but he's away. I don't know about that sort of stuff. Damn it, games are getting confusing. It's not on "Steam" or anything like that. Can't I just download a patch and install it, like usual patches? I don't get it. Where is the patch? Do you have to be connected to the internet to make this work? My gaming computer has no connection because I live in rural Thailand. I'm on a net cafe right now... like I said, modern gaming is just getting annoying! Yes updates requires an internet connection, below is the two options for Beamdog installs. The standalone launcher method is to use the bottom right icon and I think repair install applies updates. The Beamdog client method is to click the orange + sign to the right of your game. If your father has created a shortcut to the exe so you start the game without using either launcher or client, you should find whichever he originally used is still there and can be used to update if you can get an internet connection. Thanks for the replies. Unfortunately, it looks like I am screwed for a bit! No internet in my actual house. Oh well. I was planning on using a Bounty Hunter for my first play anyway, so the extra kits are not so important. I just thought it would be good to have the option however.